Water Damage Restoration Portland 24/7 Company! Dealing with water damage in a residential or commercial property can be very stressful for property owners. Water damage can occur due to multiple reasons, such as: flooding, faulty appliances, sewage backup and pipe bursts. When your property needs water damage services, call the highly trained team at 911 Restoration of Portland. At 911 Restoration of Portland, our water damage team has the knowledge and experience needed to combat damage of any size. 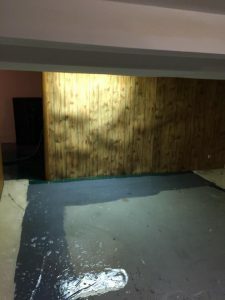 They have received extensive training and use state of the art equipment in order to provide total property restoration when water damage strikes. Providing Portland residents and business owners top quality water damage services and customer support is our main priority. For this reason, the water damage team is available 24/7, 365 days per year to provide water cleanup services. Our team understands the stress water damage can cause, especially around the holiday season. Therefore, we want Portland area residents to know we are always available to provide restoration and peace of mind each and every day. Within 45 minutes of your phone call, the highly trained IICRC technicians will arrive at the property to begin assessing the damage. By assessing the damage, it will give the water damage team an overview of what services are needed to provide restoration. It will also help to determine if other services like mold removal are needed. Once the damage has been assessed, the team will inform property owners of services needed in order to completely restore the property. When water damage strikes, 911 Restoration of Portland is ready to strike back. Restore your property and peace of mind by calling our team today! Water damage can sometimes go undetected for days. Some times, the issue can be behind the walls or in areas that are hard to see. Water damage can present itself in different colors, textures and smells, which is how many property owners usually detect the damage has occurred. At 911 Restoration of Portland, we want property owners to know the signs of water damage because time is of the essence. In order to keep damage to a minimum, know the signs and call our water damage team when you become suspicious of any property damage. When it comes to water damage, there are signs to look for. If you notice any of the following, your property may need water damage restoration services. Discoloration. Have you noticed a water spot or stain in your ceiling that seems to have appeared overnight? The spot may be yellow, brown or a copper toned color. Often times the area appears to have cracks or paint that’s peeling. If you notice discoloration on your ceiling, it’s time for the water damage experts to come check out the property. Water Buildup. For most, this is a given. When property owners notice a buildup of standing water throughout an area, they know there’s an issue. 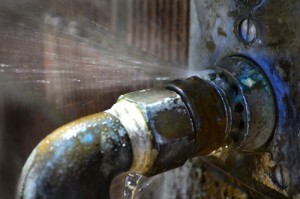 This can be caused by fault appliances or sewage backups. Sometimes, there may be a roof leak that is causing flooding inside the property. Leave it to a highly trained team of IICRC technicians to figure out the problem and solve it for you. Odor. If you have started to detect a smell that doesn’t seem to go away, chances are you have a fungal infestation. These infestations often occur due to water damage throughout an area of a property. Due to the dangerous health side effects mold can have, it is best to call mold removal experts. Knowing the signs of water damage is important for keeping the property and those who frequent it safe. The longer water sits, the worse damage can become which is why it is important to contact the team at 911 Restoration of Portland. Seeking immediate help from a water cleanup company can help prevent structural damage or the need for mold removal. Mold spores are present everywhere. These tiny spores can attach themselves to clothes, pets or come into a property through the HVAC system. Despite how they get in, it’s important to get them out once colonization begins. In order to thrive, mold spores need a water source, hence why water damage restoration services are so important. When water sits for an extended amount of time it can act as a source for spores and then mold removal services will be needed. When disasters like water damage or mold infestations strike, call the team at 911 Restoration of Portland to get on the path to a fresh start. Our goal is to provide peace of mind and the highest level of restoration services in the industry.